Are you being a scrooge when it comes to funding your small business? Only 2% of small businesses are using crowdfunding. And I think that’s a shame. Especially since funding is one of the key hurdles for so many small businesses. So what is holding small businesses back? They don’t know how crowdfunding works. But what is crowdfunding, you ask? Crowdfunding is a new capital-raising tool that allows your community, your customers, and your followers to provide your business with the financial and non-financial support it needs to launch or grow. In many ways the idea of crowdfunding has been around forever, but when new technologies enabled online transactions and digital communications like email and social media, crowdfunding as we know it came to be. There are four main types of crowdfunding – donation, rewards, investment and lending* – but rewards crowdfunding is the most popular for small business. So, let’s focus there. With rewards crowdfunding you can pre-sell a product or service to raise the funds and customer support you need rather than looking for a lender who will approve your loan or looking for a single investor who can loan you thousands of dollars. For example, it might be difficult to find one person to order $10,000 worth of goods, but could you get 100 people to buy $100 worth of product (100 x $100 = $10,000)? That’s crowdfunding in a nutshell. 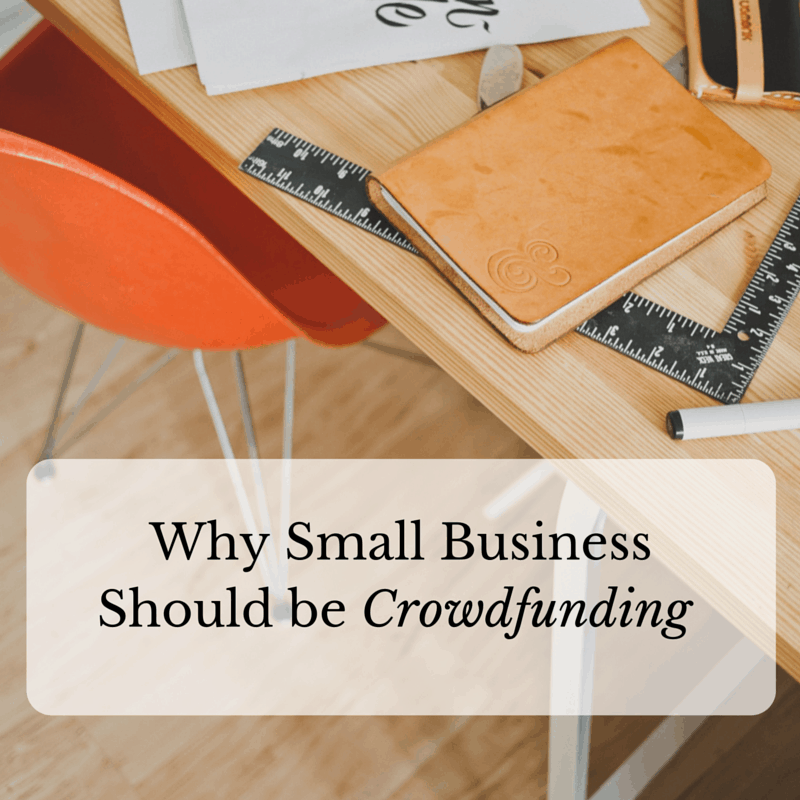 Did you know that 58% of small businesses would consider crowdfunding if they understood how to do it? 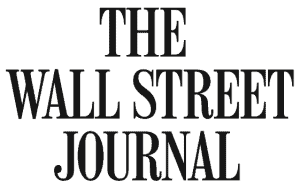 Most of the information on the internet about crowdfunding is aimed at tech start-ups. 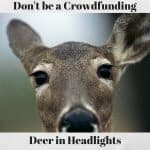 It’s hard to feel comfortable throwing your hat in the ring when the competition already appear to be masters at the game of crowdfunding and digital marketing. Not only are these glittery startups NOT your competition, but your small business may be even better equipped to take the crowdfunding space by storm. So why should your small business be using rewards crowdfunding? 1) You already have a great story. 2) The funding supply is not limited. 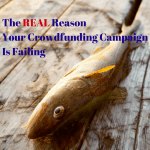 What’s so special about the funding in crowdfunding? There’s no bottom and there’s no one gatekeeper. This isn’t a bank loan. Or even VC dollars. Do you remember the classic folktale Stone Soup? (I remember reading a version called Button Soup with Scrooge McDuck when I was little.) Everyone in the community puts in one ingredient and where there was no soup for anyone, there now was delicious soup for all. That’s crowdfunding in a nutshell. Everybody supports everyone else just a little bit, and we all get rewarded. And even better, there’s no one person or group that is controlling the ladle to that soup. No criteria like two years in business and $150,000 in revenue. People back you based on your character and the quality of what you create. 3) Relationships are your bread and butter. You know that thing you do every day when a customer walks into your store or contacts you via email. It’s the heart of crowdfunding. Yup, that human connection that is the cornerstone of any small business is actually the thing that makes people back projects. They hear your story and they want to be a part of it or to support you or to get your product that solves a problem they’ve needed solved. It’s not just the bread that brings people across town to your bakery, it’s you, your distinctive take on bread, and the kind of people you hire to interact with them. 4) Email converts best to contributions. You’re daunted by social media, right? That shouldn’t stop you. I’m not suggesting that you ignore social media, but you can employ a much more effective and less costly marketing strategy: email marketing. That email list of a couple hundred people that you’ve been collecting in your store or at the local farmer’s market. That’s more than most tech start-ups have. Which group of people do you think will be most likely to back your campaign: a thousand strangers on Facebook or a hundred people who have enough interest in your business to give you their email? Not sure how to do email marketing? Check out our blog “Email Marketing is like Stocking your Crowdfunding Pantry” for some email marketing fundamentals that apply to much more than just crowdfunding. 5) Rewards crowdfunding campaigns for $10,000 or less in funding are the most successful. The same survey I referred to earlier indicates that many small businesses are looking for loans of $10,000 or less. Well, guess what? Crowdfunding projects raising $10,000 or less are the MOST successful. In fact, on Kickstarter only 274 projects (as of January 2018) have raised over $1M dollars but over 75,000 projects have successfully raised $10,000 or less. The great thing about rewards crowdfunding is that if you need more funding, you can launch another campaign. And if you deliver on what you promise in your rewards, the backers of your previous campaigns will be the first to help. This is exactly what wallet maker Articulate did. They have successfully raised funds seven times via crowdfunding. So small business, I double-dog dare you to throw your hat in the ring. But I won’t kid you. To get the most for your efforts, it takes organization and preparation. Begin working on your campaign 3-12 months before you plan to launch it. And know what it is you want to get from your work because it’s not all about funding. But I’ll address that in a future blog, so stay tuned. *Sign up for our newsletter to get our free Crowdfunding Cheat Sheet to learn about the different types of crowdfunding. Ready to take my dare? Invest in our Crowdfunding Rapid Assessment to get honest, personalized, and data-backed feedback on your potential to crowdfund before you launch a campaign.